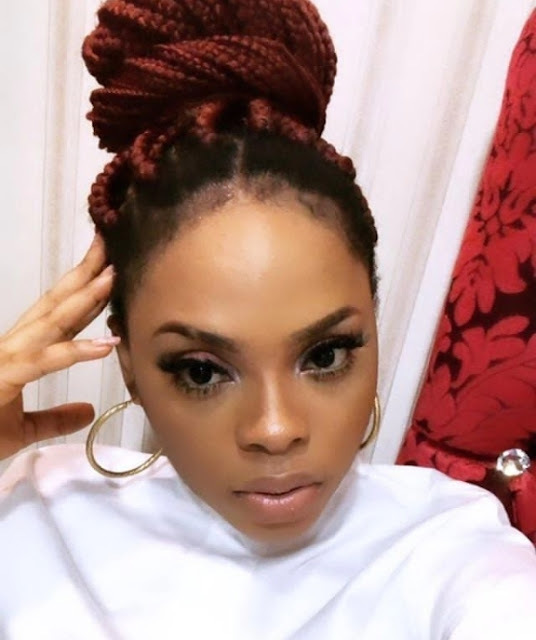 Is Singer Chidinma having ish with any 'Bish''? Hmmm I wonder who she is referring to...or is this a notice me post? 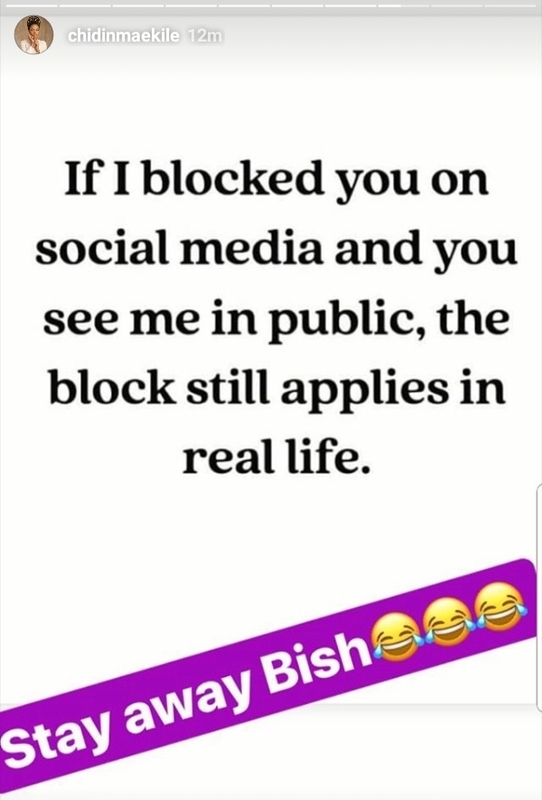 Chidinma posts funny stuff on her insta story always, this is just one of them. She no dey sing Again..
Is that his new release? Blocking in real like ke ? And you call yourself a role model, that keeps malice, too low girl. Life is too short for you to wall yourself up. Be free as a bird, just be cautious. Chidinma is known for posting funny stuffs on her insta story. Check the emoji she used. I do not understand why it takes decades for comments to show on this blog, it tries me out.